To review and expand the concepts of Introductory Human Anatomy & Physiology for Chiropractic. The course encompasses embryological development of musculoskeletal system, emphasises focus on the functional anatomy and biomechanics of the vertebral column and its interactions with the thorax and pelvis and explains the various clinical problems associated with the function and biomechanics of the spine in Chiropractic practice. This lecture and discussion class serves as an introduction to the principles and practices of the chiropractic profession. The unique chiropractic paradigm of facilitating self-healing by reducing nerve interference through the correction of vertebral subluxation by chiropractic adjustments will be explored. The course will cover the unique lexicon and definitions of the chiropractic profession. These concepts are vital for the foundation of understanding in the philosophy of chiropractic. This includes Universal, Intelligence, Innate Intelligence, Triune of Life, vertebral subluxation, chiropractic adjustment, etc. These concepts are then brought together in a deductive way through the exploration of the 33 principles. This understanding is then applied to the human body through the normal complete cycle. The students will then explore the relationship of these principles with science and how chiropractors practice. Furthermore, classic chiropractic concepts will be explored with an emphasis on how they apply today in practice and patient education. To provide introductory knowledge of immunology and explore the clinical aspects of the immune system as it relates to chiropractic philosophy and practice. With a focus on: the physical barriers that constitute the immune system’s first line of defence; the operation of the Innate Immune System including the functions of its constituent cells and extracellular components; cardinal features of the Adaptive Immune System; a normal immune response from the introduction of an antigen and describe basic types of immune dysfunctions that produce Immunopathologies. To introduce spinal biomechanical principles relating to the practice and analysis of chiropractic. This course provides an introduction to basic neuroanatomy, the principles of neurophysiology and the stages of neuroembryological development of the human nervous system. Neural systems will be introduced that contribute to sensory experiences, motor control, learning and memory. Concepts and Research and concepts that are relevant to understanding the potential neuromodulatory effects of chiropractic care will also be introduced. To introduce chiropractic clinical principles and skills relating to assessment of spinal health in an overall sense, including the identification and palpation of specific spinal structures, vertebral subluxation analysis and the development of psychomotor skills of adjustment procedures utilising toggle recoil and sustained impulse thrusts. NZCC subluxation analysis is a multi-test system. In this course students are introduced to four types of leg length evaluations, advanced muscle palpation, motion palpation, joint play and evaluation of the tone of the various types of paraspinal tissues. 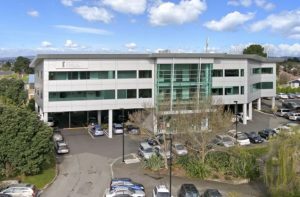 To provide an overview of the chiropractic profession and its relationship with the broader healthcare environment, both in New Zealand and internationally. During this course students will develop a basic understanding of epidemiological and statistical terms. They will also develop the skills required to search and critically evaluate the research literature as it pertains to solving clinical problems seen in chiropractic practice. To introduce the concept and the principles and develop an understanding of the pathological basis and mechanisms of diseases and disorders at cellular and molecular level. The student will explore the mechanisms by which various diseases develop and understand the application of these basic disease causing templates. This course will bridge the understanding of shifts caused by disease processes to the normal structure and function of tissue, develop a solid foundation in the pathophysiological processes and recognise the generic clinical manifestations which will assist in making a sound clinical decision, consistent with the role of a Chiropractor. To review, further develop, and expand the concepts of introductory human anatomy and physiology for chiropractic, focussing on the anatomy and arthrology of the appendicular musculoskeletal system. To explore in more depth, key concepts of the philosophy of chiropractic with appreciation of its practical application. To develop chiropractic clinical principles and skills relating to assessment of spinal health including the identification and palpation of specific spinal structures, vertebral subluxation analysis and the development of psychomotor skills of adjustment procedures utilising toggle recoil and sustained impulse thrusts. NZCC subluxation analysis is a multi-test system. In this course students develop skills in four types of leg length evaluations, advanced muscle palpation, motion palpation, joint play and evaluation of the tone of the various types of paraspinal tissues. They will analyse the results of these test to generate a vertebral subluxation listing. To review, further develop, and expand the concepts of introductory human anatomy and physiology focussing on the anatomy of the musculoskeletal system. Upon completion of this course, students will have a comprehensive knowledge of the normal structural and functional anatomy. They will also demonstrate the skills and attitude to effectively apply and emphasise the importance of correlating knowledge of basic anatomy and anatomical skills in solving clinical problems as seen in chiropractic practice. During this course students will develop an understanding of the steps required to think critically and a firm ability to reason and think in a critical manner. They will further develop their critical thinking skills through application of problem solving and reasoning as it applies to vertebral subluxation analysis. To explore specialised knowledge in the areas of human behaviour and clinical psychology as it relates to the practice of Chiropractic. To introduce fundamentals principles of the physics of conventional radiologic imaging techniques, digital radiography and advanced imaging modalities. To introduce radiation safety, protection and quality control issues as well as principles of selected advanced imaging modalities. To develop students understanding and skills in a variety of communication strategies appropriate for chiropractic clients and various communities as well as professional and business relationships. Theories and techniques of effective communication, both written and verbal, will be demonstrated and developed. To build on the understanding of the pathological basis and mechanisms of diseases and explore their effects. This will enable the student to integrate and correlate the clinical manifestations of disease with the pathological changes at organ/regional/and systemic level. At the end of the course the student will have good knowledge of the major diseases, their pathophysiological processes and their clinical presentation to make sound clinical decisions, consistent with the role of a Chiropractor. It includes the following areas: Autoimmune disorders, Heart structural & functional considerations, Diseases of blood vessels, Respiratory disorders, Eye disorders, Ear nose and throat disorders, Head and Neck Disorders, Infectious and parasitic diseases, Reproductive system (male) disorders, Reproductive system (female) disorders (including Obstetrics). To create a critical awareness, through the use of selective evaluation, analysis and application procedures, of the principles of rehabilitation, and to thereby establish a basic working knowledge of the role of rehabilitation in the management of patients with a wide range of musculo-skeletal conditions and syndromes commonly presenting to chiropractic practices. To develop skills and strategies for the integration of the philosophy and history of chiropractic into the effective delivery of public presentations for patient education. This course will review, further develop, and expand the student’s knowledge of neurological anatomy and physiology and link this knowledge to clinical presentations that may be encountered in chiropractic practice. 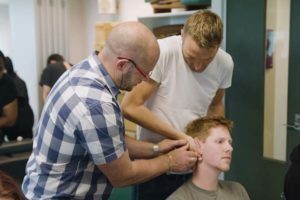 Students will learn how to perform a chiropractic neurological examination, interpret the results, and incorporate findings into patient management decision making. Research relevant to understanding vertebral subluxations will be discussed and students will develop a definition of vertebral subluxation that is supported by research findings. To introduce a critical awareness of the significance and effects of nutrition on health and disease. To develop knowledge of professional behaviour, interactions, and demeanour; diagnosis; clinical history taking; regional examinations; orthopaedic testing (spine, upper and lower limbs); physical examinations (spine, upper and lower limbs); chiropractic analysis including instrumentation and adjustment of vertebral subluxations. Opportunities will also be offered for students to utilise outcomes assessment procedures which can be applied to a clinical chiropractic setting. To investigate a broad range of chiropractic theories including vertebral subluxation models and the theories of the mechanisms of the chiropractic adjustment. To introduce the concepts of stress physiology and its relevance to chiropractic patient care. To develop an ability to critically select and perform diversified techniques for the full spine, pelvis and rib cage. To build on the understanding of the pathological basis and mechanisms of diseases and explore their effects. This will enable the student to integrate and correlate the clinical manifestations of disease with the pathological changes at organ/regional/and systemic level. At the end of the course the student will have good knowledge of the major diseases, their pathophysiological processes and their clinical presentation to make sound clinical decisions, consistent with the role of a Chiropractor. It includes the following areas: Breast Disorders, Red cells and blood disorders, Bleeding disorders, Neoplastic proliferation of white blood cells, Disorders of skin and epidermal appendages, Renal disorders, Pancreatic disorders and diabetes mellitus, Endocrine disorders, Gastro-intestinal tract disorders. This course will develop the student’s knowledge of neurological anatomy and physiology and link this knowledge to clinical presentations that may be encountered in chiropractic practice. Neurological examination skills will be developed and students will learn how to perform a neurological screening examination as well as a focussed neurological examination. Research relevant to chiropractic practice will be appraised and skills relating to the communication of research findings will be developed. Continued to build and develop the skills required to perform a patient history, physical and chiropractic examination and then incorporate the information gained into developing a safe and effective patient management plan. To develop the understanding and application of the Gonstead System relative to the theory, analysis, correction and management of cervical, thoracic lumbar and pelvic subluxations. To introduce clinical principles and skills relating to upper cervical specific vertebral subluxation analysis and toggle recoil adjustment procedures. 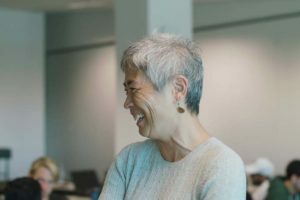 To develop students’ understanding of protocols and ethics underpinning successful communication with Māori and skills in te reo me ona tikanga (language and custom), and to apply the cultural competency to other cultural situations. To introduce the fundamentals of radiographic interpretation with emphasis on normal radiographic anatomy of the spine and extremities. Radiographic presentation of anomalies, developmental variants, evaluation of generally accepted radiographic lines and measurements are also introduced. This is the foundation component to identifying pathologic conditions via various diagnostic imaging modalities. The Diagnostic Imaging laboratory experience is emphasized in order to develop skills and pattern recognition regarding radiographic anatomy. Lectures are presented to assist and focus the student for the laboratory portion of the paper. To develop skills in professional behaviour, interactions, and demeanour; diagnosis; clinical history taking; regional examinations; orthopaedic testing (spine, upper and lower limbs); physical examinations (spine, upper and lower limbs); x-ray analysis; x-ray set-up; chiropractic analysis including instrumentation and adjustment of vertebral subluxations. Opportunities will also be offered for students to utilise outcomes assessment procedures which can be applied to a clinical chiropractic setting. To provide the students with a thorough and practical understanding of the important fundamentals involved in producing high quality diagnostic radiographs consistent with the role of chiropractors. To explore specialised knowledge in the areas of human behaviour and clinical psychology. This course develops the student’s ability to utilise a deductive diagnostic strategy to generate differential diagnoses or a working diagnosis when evaluating patients presenting with neurological disorders. Students will interpret data from neurological diagnostic testing procedures and create an appropriate patient management plan for a chiropractic patient who presents with a neurological disorder. To develop a general understanding of what is required to work in or own and operate a small business, with particular emphasis on marketing a Chiropractic Practice in New Zealand. To build on the fundamentals of diagnostic imaging interpretation and knowledge of pathological conditions to include trauma of the spine and extremities, osteomyelitis, and, hematologic and vascular disorders. Radiology report writing is first introduced as well. The Diagnostic Imaging laboratory experience is emphasized in order to develop skills and pattern recognition regarding the conditions covered in this paper. Lectures are presented to assist and focus the student for the laboratory portion of the paper. To develop an understanding of and to apply the Activator Methods Chiropractic Technique which includes the theory, analysis, correction and management of subluxations throughout the spine, pelvis and extremities. In this course students will build on, and develop their understandings and skills to perform thorough, effective and safe patient assessments applying the principles of disease education, health promotion, integrating science and philosophy and vertebral subluxation theory and principles for effective chiropractic case management. Cases will be presented so that students have opportunities to develop both group and individual problem solving skills. To give interns opportunities to gain practical experience and skills, and integrate practical competencies learned in the classroom and practice environment. This includes a minimum of 55 patient interactions (5 new patients and 50 regular visits) with students. To develop a critical understanding of the principles of risk management and practice safety applicable to chiropractors in the New Zealand health care environment. Students will be expected to demonstrate an understanding of common risk management components including practice ethics, cultural safety and laws and acts in the New Zealand healthcare system. Students will also be expected to identify contraindications to chiropractic care and analyse a range of practices to enhance patient safety. To enable students to expand their theoretical and manual skill base by developing their knowledge and application of basic principles of a range of core and non-core chiropractic techniques. To build on the fundamentals of diagnostic imaging interpretation and knowledge of pathological conditions to include degenerative joint disease, rheumatoid arthritis, seronegative arthropathies, septic arthritis, deposition arthropathies, spondylolisthesis, scoliosis and skeletal dysplasias. The Diagnostic Imaging laboratory experience is emphasized in order to develop skills and pattern recognition regarding the conditions covered in this paper. Lectures are presented to assist and focus the student for the laboratory portion of the paper. To expand the students understanding of the pregnancy, labour and provision of safe effective chiropractic care to pregnant women. All aspects of paediatric patient assessment, patient management, normal childhood development and common abnormalities in the paediatrics from infants through to school age, and adolescence; labour and provision of safe effective chiropractic care to minors. To expand students’ manual skill-base by developing their knowledge and application of basic principles of a range of non-spinal adjustment techniques, chiropractic analysis, and adjustment of non-spinal articulations. To develop Interns, practical experience and skills, and integrate clinical competencies learned in the classroom in a clinical environment, to a level suitably demonstrating clear comprehension of all tasks performed. To build on the fundamentals of diagnostic imaging interpretation and knowledge of pathological conditions to include metabolic, endocrine and tumour disorders. An understanding of advanced imaging modalities and basic interpretation factors will also be presented. The Diagnostic Imaging laboratory experience is emphasized in order to develop skills and pattern recognition regarding the conditions covered in this paper. Lectures are presented to assist and focus the student for the laboratory portion of the paper. To study the normal and abnormal changes that occur in the aging person and their physical, nutritional, and psychosocial needs. Particular emphasis is placed on the special problems involved in the chiropractic care of the aged. To evolve Interns, practical experience and skills, and integrate practical competencies learned in the classroom in a practice environment, to a level suitably demonstrating advanced comprehension of all tasks performed. This includes a minimum of 183 patient interactions (18 new patients and 165 regular visits) with public patients. To develop the understanding and skills to critically consider, and clinically deliver thorough, effective and safe patient assessments. To demonstrate the ability to identify common systemic conditions that may mimic musculoskeletal diseases and provide Chiropractic management in a safe, effective and competent manner. To conduct an appropriate assessment and provide Chiropractic management while applying the principles of disease education, health promotion, and integrating science, philosophy and vertebral subluxation principles. To build on and develop analytical and critical skills in laboratory diagnosis, as they apply to clinical diagnosis of a variety of conditions encountered in the practice of chiropractic. To build on and develop analytical and critical skills in pharmacology, as they apply to clinical diagnosis of a variety of conditions encountered in the practice of chiropractic. To develop a general understanding of what is required to work in or own and operate a small business, with particular emphasis on a Chiropractic Practice in New Zealand. To perfect Interns, practical experience and skills, and integrate clinical competencies learned in the classroom in a clinical environment, to a level suitable for unsupervised practice and registration as a practising chiropractor. To explore key concepts of the philosophy of chiropractic. In this course students will integrate, build on, and develop their knowledge and skills from previous courses taught in the Chiropractic programme. Students will incorporate thorough and safe patient assessments strategies and provide effective management, or co-management of patients with various, endocrine, autoimmune, neurologic or systemic conditions that commonly present to a Chiropractor. The principles of disease education, prevention and health promotion will be integrated with the science, art and philosophy of chiropractic. Course content and descriptors are subjects to change.